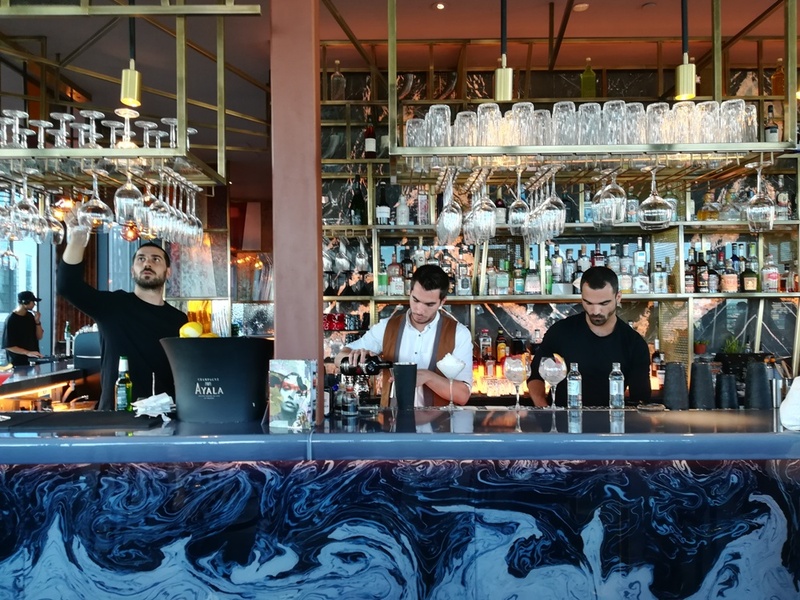 We were really surprised to find such a great rooftop bar in a hotel which doesn’t in any way feel like the stuffy bars so often found within hotels. 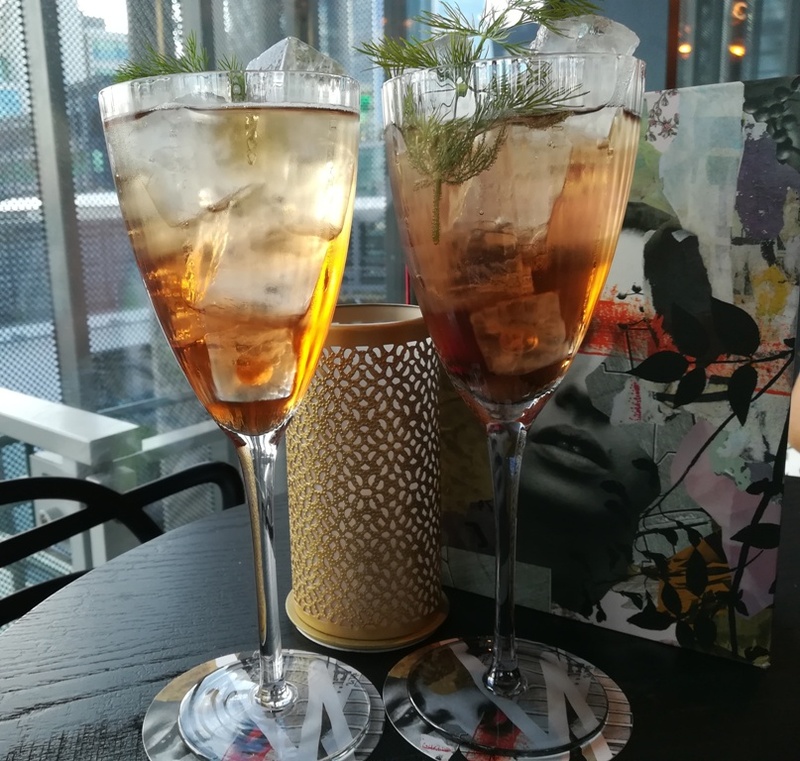 Situated on the 12th floor of the Doubletree by Hilton just behind Tower Hill station, the Savage Garden has set its sights on being a little different The décor is modern with some beautiful artistic touches. I thought that the bar itself was stunning (and the bar staff weren’t bad either!). 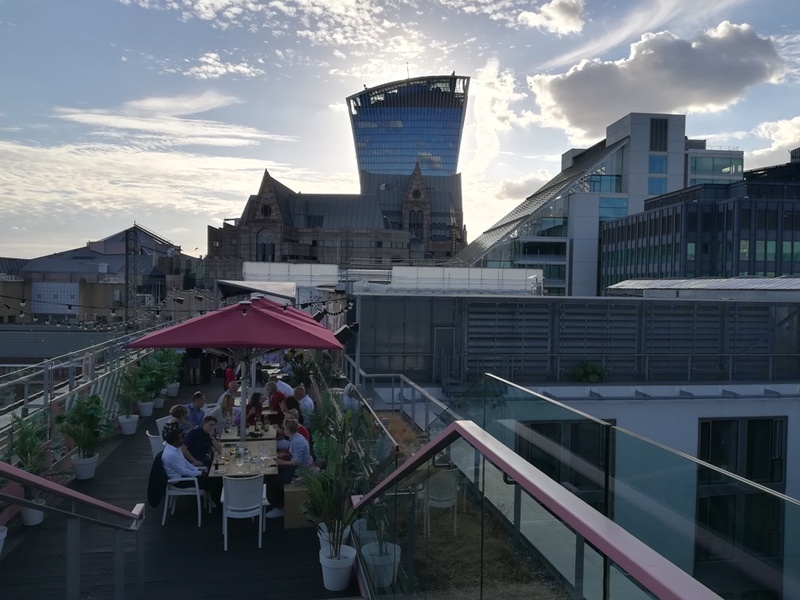 Savage Garden offers dining in the bar area, as well as outside space to make the most of the wonderful summer we’ve been having. We spotted the Gerkin, the Walkie Talkie building, the Shard, as well as the Tower of London and Tower Bridge as we walked around the bar. 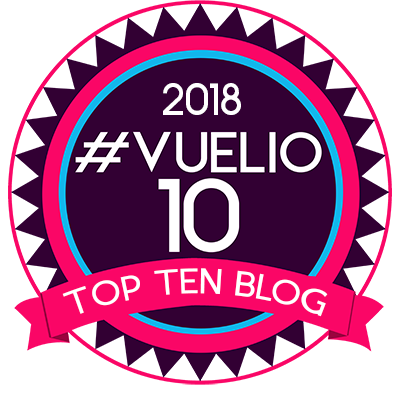 This really helps to make Savage Garden a destination bar for the views alone, and lots of people seemed to have had the same idea, as it’s clearly proving to be popular. We started the evening with a Savage Spritz each, these were made with considerable skill and contained Plymouth Sloe Gin, Chartreuse, peach and hop bitters, finished off with Ayala champagne. These were refreshing, delicious, and slipped down rather too easily. 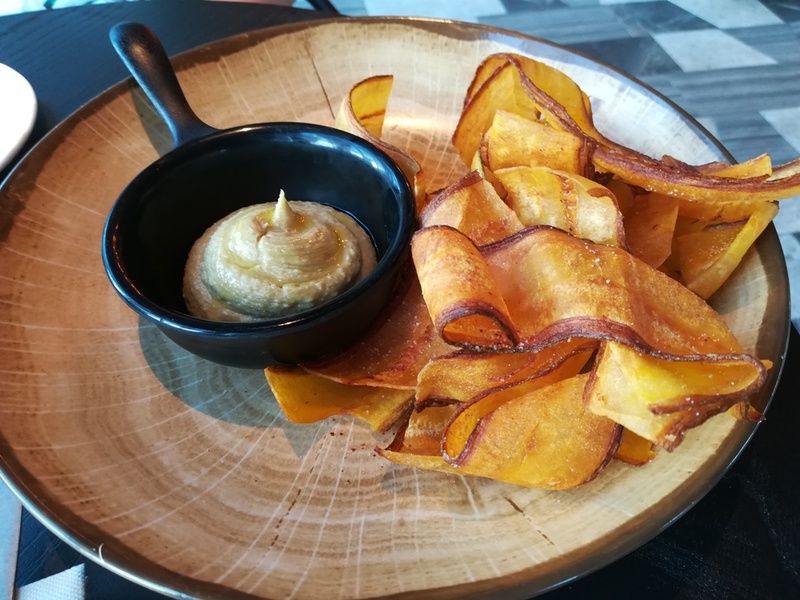 Savage Garden offers small plate food, and whilst we were debating what to have, we started with plantain chips served with lime and avocado houmous and a surprise dish of warm radishes. We both loved the long curled ribbons of plantain, and this is something that I’m going to try to recreate at home. 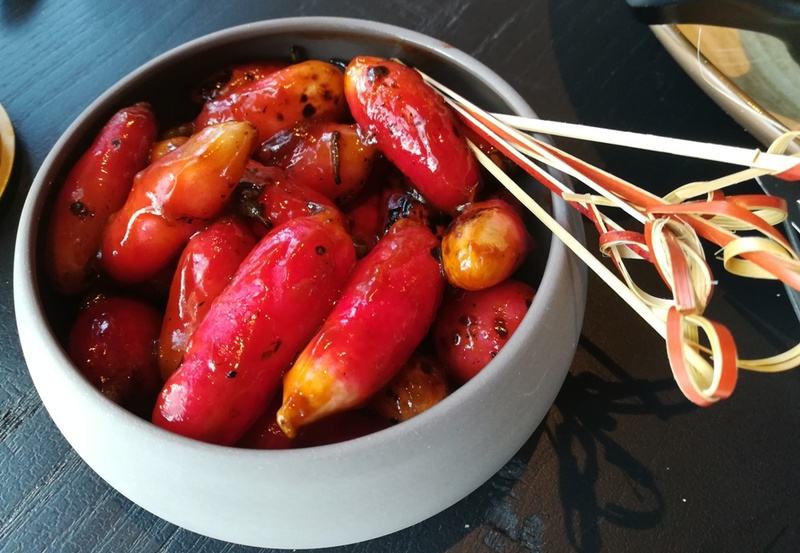 We liked the radish dish but felt it better suited to a group of 4 people to share as a nibble. 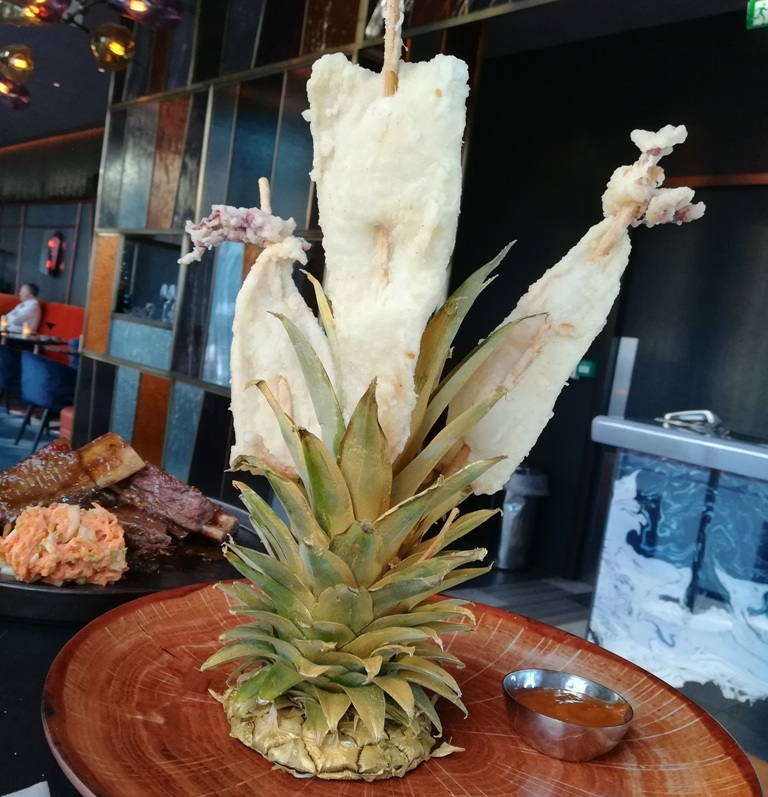 We spotted something rather unusual being taken to another table and asked one of the very friendly and helpful staff what it was, it turned out to be lightly battered squid served in a way that I’ve never seen before. I had to have it! The squid was perfectly cooked inside the light batter, lovely and tender. 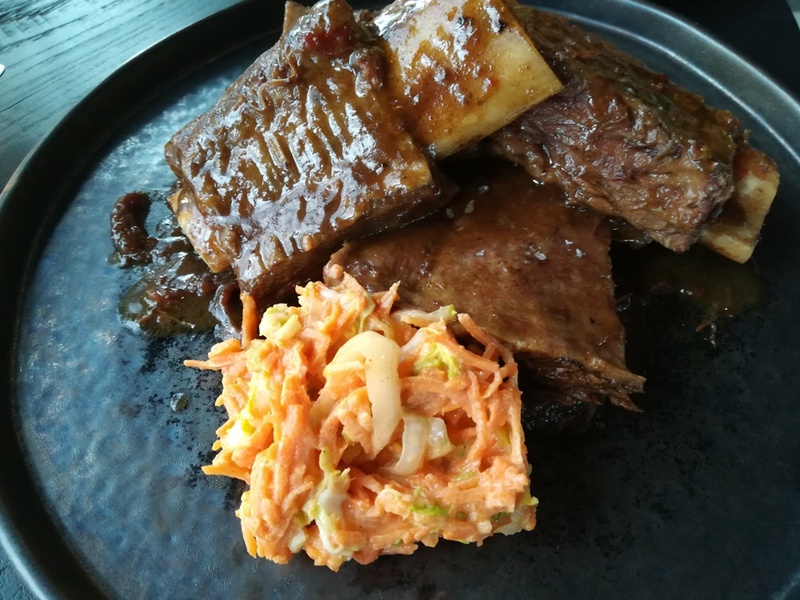 Deborah opted for Coconut Beef Short Ribs with savage-slaw. This was a generous portion of ribs with lots of tender meat that fell off the bone, served in a tasty sauce. We felt that it needed to be supplemented with a few fries on the side. We finished off the evening with ice sticks, a fun but more sophisticated take on a Magnum! 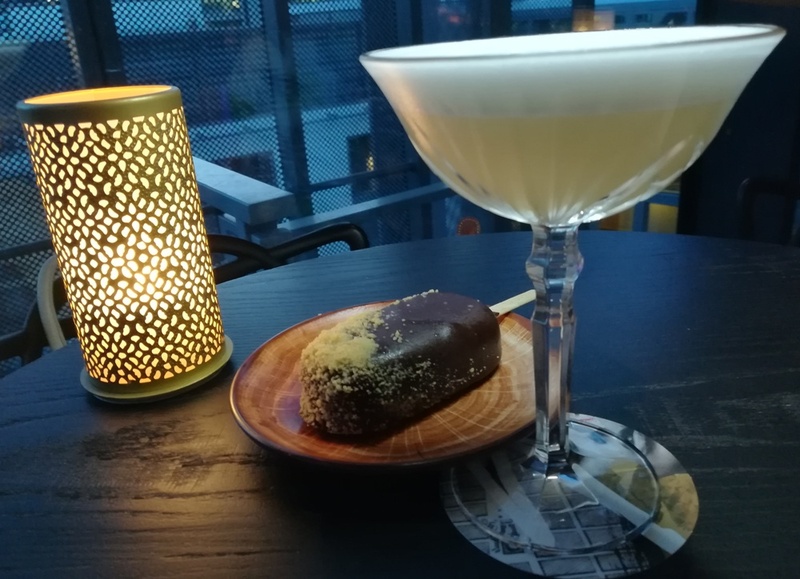 With this, we tried the Lesspresso martini which was pleasant if light – it just didn’t have the punch of an espresso martini. 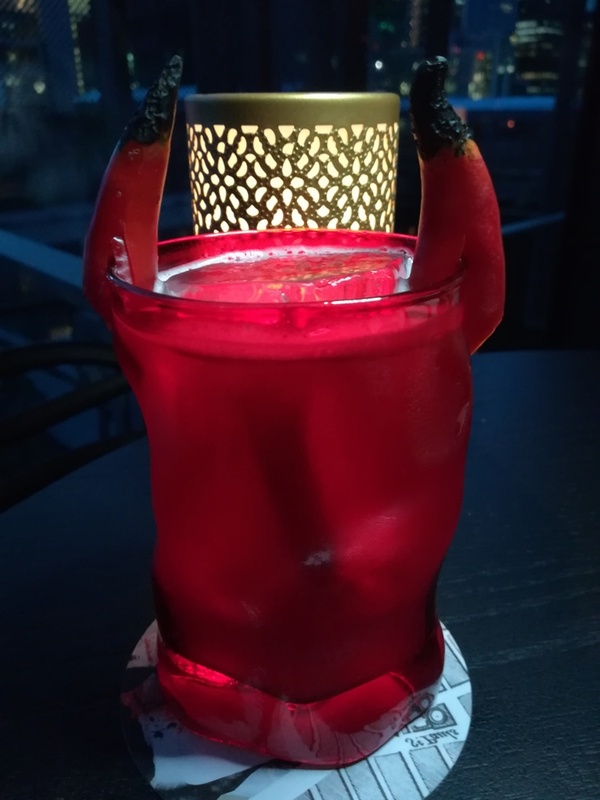 The cocktail which gave much more of a punch was the Horny Beast, described as pretty and pagan it certainly lived up its name. Overall we thought that this was a funky bar, with friendly staff, unusual cocktails, and fun creative presentations of plates. Plus it’s in a great location with amazing views. What more could you want?